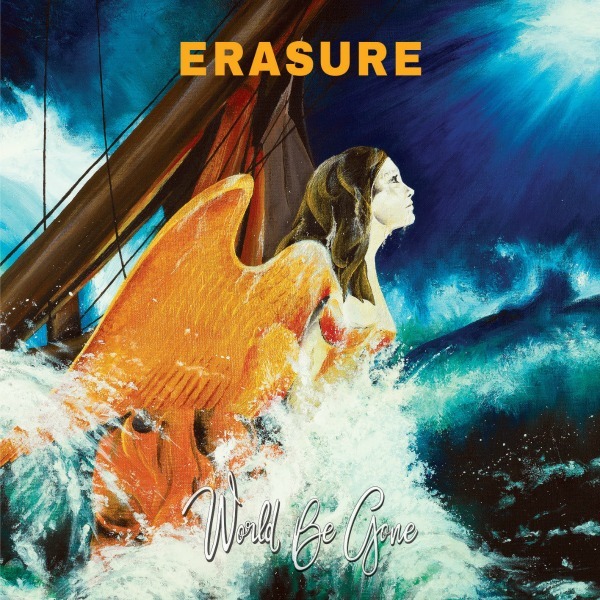 Classic synthpop duo Erasure — Andy Bell and Vince Clarke — this week announced plans to release their 17th studio album in the spring. The 10-track World Be Gone, due out May 19 on Mute Records, will be the group’s first new album since 2014’s The Violet Flame. The new album will be available on CD, vinyl (including a limited-edition orange pressing) and cassette, and is available to pre-order now in a variety of bundles. Anyone who pre-orders by April 7 through that pre-order site will have their name included in the album artwork; additionally, 500 copies of the pre-ordered album will be signed. See full tracklist, plus a 12-second teaser, below. Really looking forward to this one! But apparently is sounds like they won’t be touring the U.S. until 2018.